Russian-Iranian consultations on the Caspian Sea problems were held at the Russian Foreign Ministry on Nov. 29, the ministry's website reported. The Russian delegation was headed by the Special Representative of the Russian Federation's President, Ambassador-at-Large Igor Bratchikov, while the Iranian delegation was led by Iranian Deputy Foreign Minister Mohammad Mehdi Akhundzadeh. Both sides focused on topical issues of interaction between the two countries in the Caspian region, the fulfilment of the decisions of the Third Caspian Summit held in Baku in November 2010 and coordination of the draft convention on the legal status of the Caspian Sea, the ministry said. The exchanged views confirmed the similarity of Russia and Iran's positions on the Caspian agenda and their desire to develop comprehensive cooperation in the Caspian Sea achieving a further progress on the five-sided negotiations on the legal status of the Caspian Sea. The littoral states (Azerbaijan, Kazakhstan, Russia, Turkmenistan and Iran) signed the Framework Convention for the Protection of the Marine Environment of the Caspian Sea in November 2003. 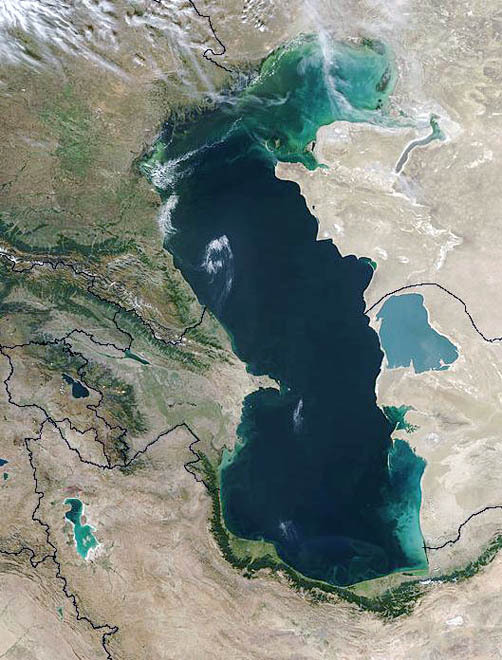 In July 1998, Russia and Kazakhstan signed an agreement on the delimitation of the northern part of the Caspian Sea in order to exercise sovereign rights for subsoil use. On Nov. 29, 2001 and Feb. 27, 2003, Kazakhstan and Azerbaijan signed an agreement on the delimitation of the Caspian Sea. Kazakhstan, Azerbaijan and Russia signed an agreement on the delimitation of adjacent sections of the Caspian Sea on May 14, 2003.